There's something wicked in the water at Phantom Carriage. 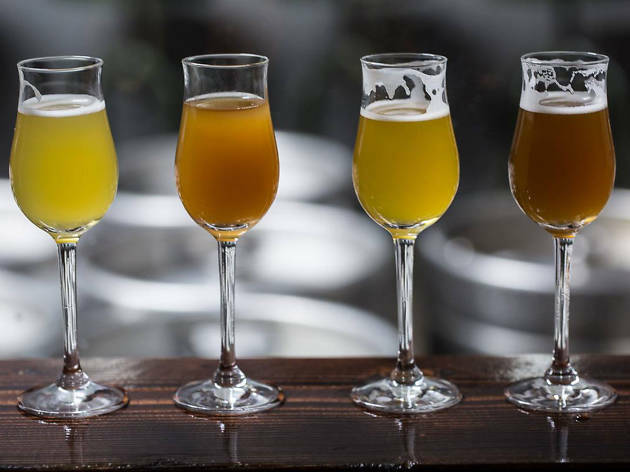 The horror-themed brewery specializes in sours, a fitting niche for a warehouse that makes you shudder when you enter. Dark and ghoulish, the space embraces its theme with a room dedicated to showing old horror movies (the brewery's name is derived from the 1921 film The Phantom Carriage), skulls, flickering candles and Frankenstein-esque script gracing their menu. 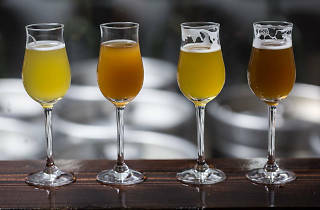 Sip on dark sours and blonde sours, wild sours and the occasional Belgian blonde; if you're hungry, Phantom Carriage has a great food menu that includes a phenomenal brisket sandwich and something called Ploughman's Lunch—a selection of meats, cheeses, breads, pickles, mustard, paté, you name it. It's a sophisticated spread for a space so haunting—but who says ghouls can't be classy?